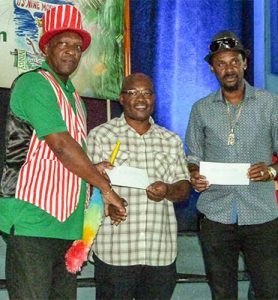 The creativity of Richland Park’s Nine Mornings programme, the highlight of which is a funeral of evils such as ‘badmind’ has put to rest Stubbs’ six-year winning streak. 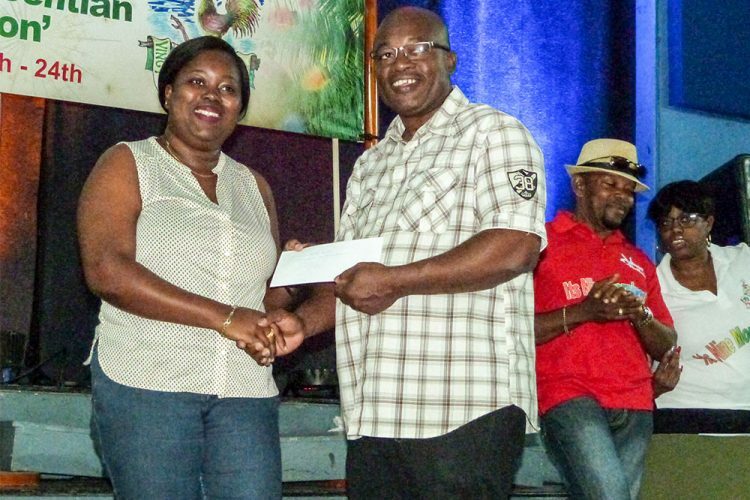 The Coordinator of the Richland Park Nine Mornings’ Committee Danroy Ballantyne and Secretary Shaakira London represented their community at the Nine Mornings 2018 Prize Giving Ceremony last Saturday. There they collected the prestigious prizes for the number one Nine Mornings Community, and the second prize for the best Christmas Community. There was louder applause than usual when Richland Park was announced as the best Nine Mornings community, overtaking Stubbs who had just been announced in second place. Coordinator Ballantyne showed a competitive spirit, commenting “well it has been long in there for some time” in reference to the win. He said that they added to their program, and did a lot of traditional activities this year, and that the program was really exciting. Undaunted by the weight of their trophy, Richland Park says that will be defending their title next year. Ballantyne had a hard time thinking about the best moment of their community’s Nine Mornings, noting that every morning was really exciting. This fits with the principle that the community which snags the title of best Nine Mornings Community is judged for the quality of its programs across the entire period of December 16 to December 24. “One of the hallmarks of our Nine Mornings is our funeral service,” where commess and ‘badmind’ has been buried in the past, and where envy was buried this year. “It was a Baptist funeral… Everyone enjoyed it,” Ballantyne disclosed. Some other activities included one where buckets from the well were incorporated, and an ironing competition. The activities from Richland Park have gained attention on the community’s FaceBook page (Richland Park Nine Mornings), where they are made available to the public. “I can tell you that we have thousands of likes on that page,” Ballantyne assured. Secretary London said that the Richland Park community has been coming out every morning and was very supportive. “We can’t do it without their support because whereas we can perform a program, if they didn’t participate the activities wouldn’t be as fun as they are,” she said. For the categories announced last Saturday, for the National Lottery’s Best Community on Parade, Rosebank came in fourth, and RoseHall third place. Stubbs took second, and Fitzhughes came marching into first. For the National Lottery’s Best Community Song, Point Village landed in fourth place, while Fitzhughes snagged third. Owia chimed in at second, while Rosebank led the pack. 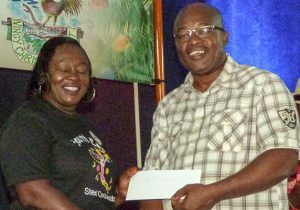 For the National Lottery’s Best Nine Mornings Community, the Leeward community of Barrouallie came in at fourth, and Carriere in third. Stubbs, the former reigning champions had to settle for second place, while Richland Park took the throne. 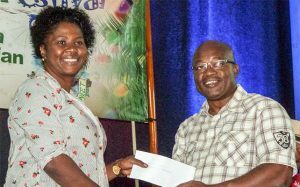 For the National Lottery’s Best Christmas Community, Port Elizabeth, Bequia took fourth position, and Carriere sailed in at third. Richland Park settled for second in this category, while Coulls Hill took the top prize. In a round up address on the Nine Mornings 2018, Deputy Chairman of the Nine Mornings Committee, Lennox Bowman had high praise for the quantity of music that the festival had in 2018. “We this year have had possibly more songs than we’ve ever had in a single year, that means a lot to us, because we have fought over the years to make sure that we have a local flavor to our music,” he stated. He continued that there were a number of younger artistes making their appearance on the Christmas music scene and that they needed to be guided and their ‘genius’ listened to in order to secure the next generation of Christmas music makers. 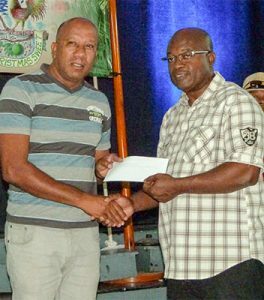 Bowman thanked a number of persons responsible for the running of the festival including, the committees, the judges the crowds and the pastors.